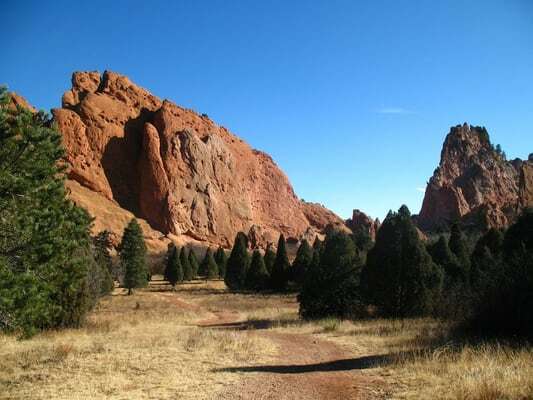 Garden of the Gods which is located at 1805 N 30th St., Colorado Springs, CO 80904 is a registered National Natural Landmark. Imagine dramatic views, 300′ towering sandstone rock formations against a backdrop of snow-capped Pikes Peak and brilliant blue skies. This world class Visitor & Nature Center is the most visited attraction in the region with a NEW, exciting, 14 minute, HD show: “How Did Those Red Rocks Get There?”. Delight in one of Colorado’s most photographed views while eating in their glassed in cafe or from their terrace overlooking Pikes Peak and Garden of the Gods.